K&L Electrical offers a full fitting, maintenance and repair service for a wide range of burglar alarm systems, offering the latest in security technology. Security Alarm Systems provide a range of services to protect your home, your property and your family. We only use products of a highest standard from alarm and intruder manufacturers, so you can rest assured that your security alam system will be good quality and the very best in the latest security technology. Whether you are looking for a comprehensive burglar alarm or TV monitored CCTV (closed circuit television) setup or an intruder alarm system. Our fully qualified and certified engineers can help. We can give you that peace of mind with a range of low cost packages that can’t be beaten. As well as fitting K&L offer a full maintenance and repair service. 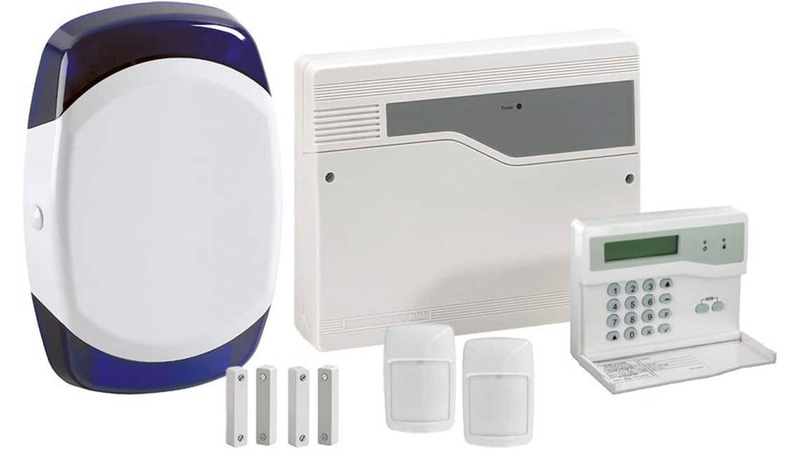 We offer the following Security Alarm Systems which are hard wired and fully installed. This package can be fitted to your property in under 4hrs, No Mess or Disruption! Wireless alarm system which holds 3 auto-dial alert telephone numbers for contacting you if alarm is activated. Can be set and unset by phone, allowing part arming of the system. Includes tamper warning protection. Can be expanded with up to 20 Yale devices, available separately. 2 x PIRs, 2 x contacts, 1 x siren, 1 x dummy siren, 1 x 2m cable, 1 x control panel. Supplied with batteries and fixings. This package can be fitted to your property in under 2hrs, No Mess or Disruption! A one of payment with no monthly fee’s to pay. The Informa is a keypad unit that has the capability of dialing prerecorded speech messages over a telephone line. It is installed in your intruder system so that when your alarm system detects an intrusion the external siren will sound to alert your neighbours and the Informa will dial a programmed telephone number that you choose and it will replay a recorded speech message to alert up to 3 numbers of the intrusion. For example, Informa can contact a friend or relative who lives close to your home, who can investigate the alarm and call the police if necessary. You can add the phone dialer to any of the alarm systems on offer for only £149.99.